After spending a couple of days exploring the sights along the Golden Circle, we headed out towards the South Coast. 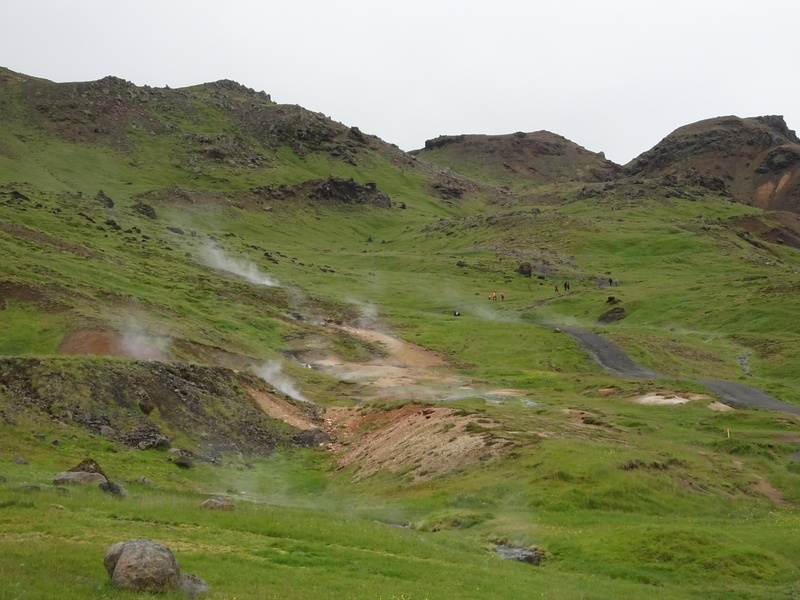 Before leaving the Golden Circle route, however, we made a stop at Reykjadalur, an increasingly popular spot. 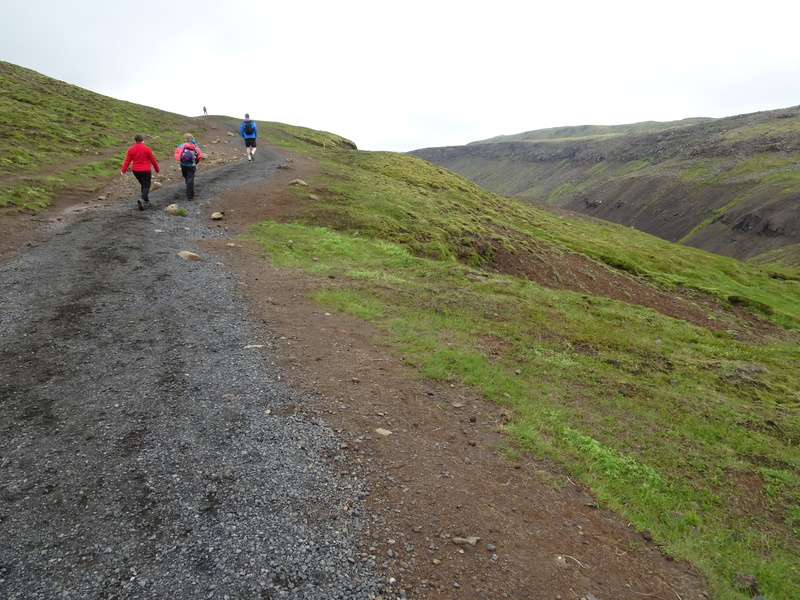 At Reykjadalur, which was a bit greener than much of what we had seen so far and also quite hilly, there are several hiking trails that lead up and through the mountains. The most popular hike is the one that leads to a hot spring-fed river. Cold river water combines with steaming hot spring water to create several small pools that are the perfect warm or hot temperature to relax in. The hike is about an hour to hour and a half long, and is moderate. For experienced hikers, it’s not particularly challenging, but for non-hikers or even occasional hikers, I would say it’s a pretty decently difficult hike. 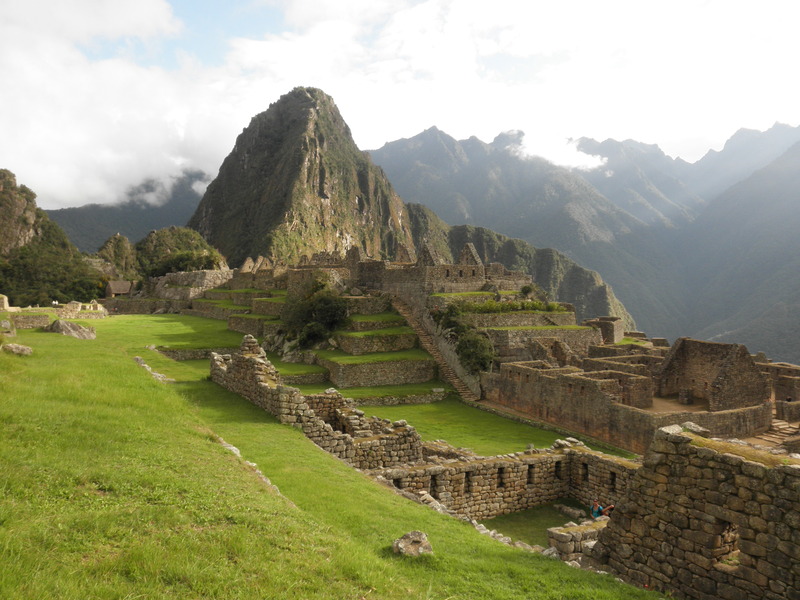 It’s quite hilly and most of the hike is either steep uphill or steep downhill as you traverse the hills and valleys. Finally, you come to the swimming spot, which is well-labeled. We hiked this on a windy, cold, and overcast day with some light rain. When we got to the swimming part of the river, we were excited to dip into the warm water, but the first spot we tried was only lukewarm. Given the cold temperatures and less than ideal weather, my mom and I weren’t quite satisfied and got cold quickly in the water. We decided to try a spot a bit farther upstream, right before the water becomes too dangerous, and were pleased to find nice hot water. There are a few “changing” structures, but they’re open, so it was a bit of a challenge to change out of wet bathing suits after we had finished, but with the help of some towels being held up, we figured it out. We then hiked back out, which seemed to go much quicker than hiking in. 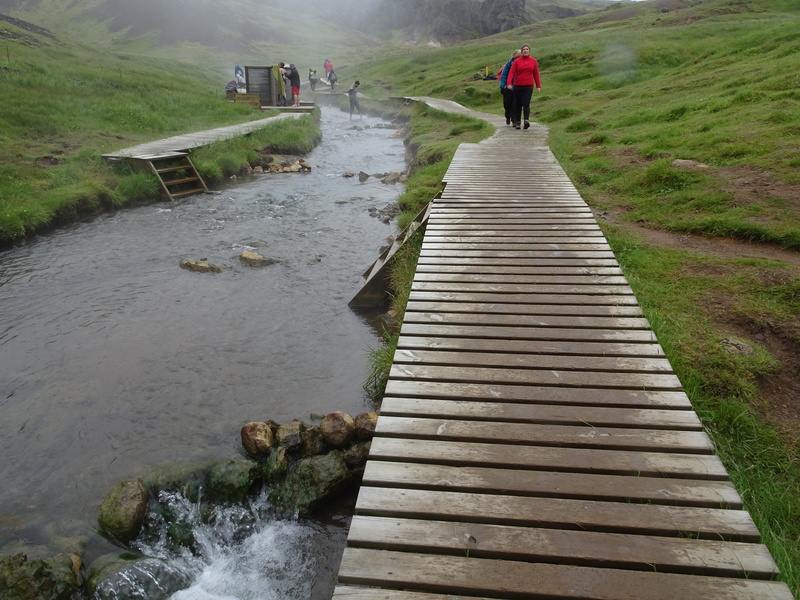 Following our hike at Reykjadalur we headed to the South Coast and our first destination. After checking in to our Airbnb, which was nearby, and making dinner (it was early evening by that point) we headed to the first waterfall of the day, Seljalandsfoss. This is perhaps the most famous waterfall along the South Coast, primarily because it’s the only waterfall you can walk behind. I had read online that there was another waterfall just a short walk along the path, so when we arrived, we actually walked to that one first (see next section). 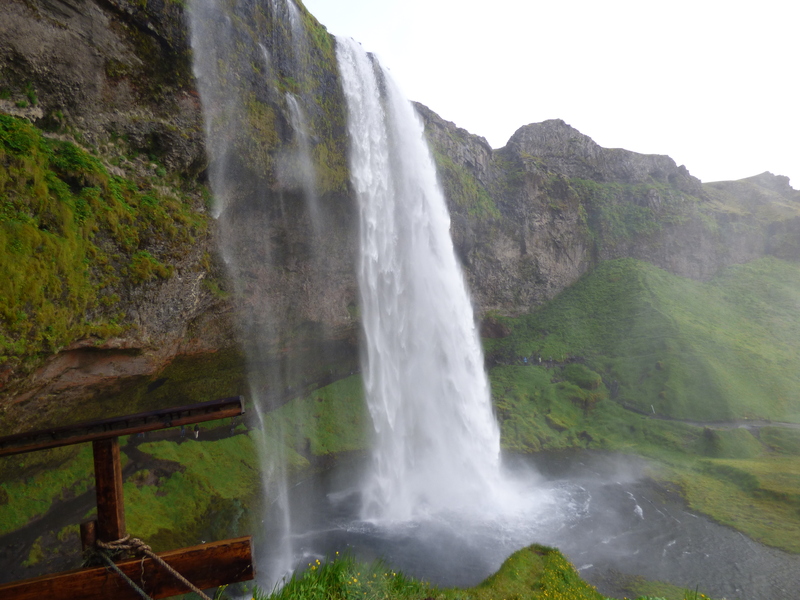 Once we had checked out the other waterfall, we came back and walked around Seljalandsfoss in a clockwise direction. Most people do it the opposite direction, but since we were on that side it made more sense. Seljalandsfoss isn’t a particularly massive waterfall, but it was really interesting to go behind the waterfall and see it from every angle. As you can imagine, there’s a lot of mist and you get pretty wet, so dress appropriately! 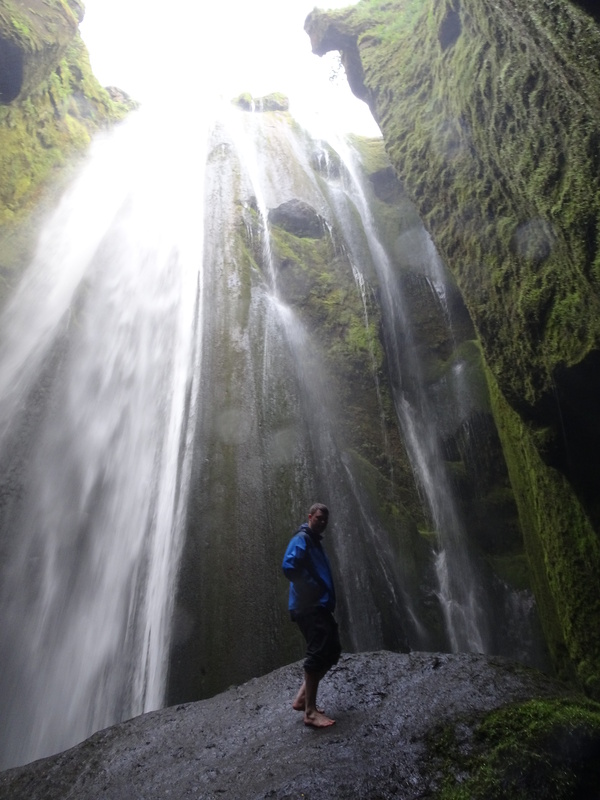 As I mentioned, there is another waterfall just a 3-minute walk down the path from Seljalandsfoss. If you do Seljalandsfoss first (going around it counter-clockwise) you can just continue on the path that branches to the right. 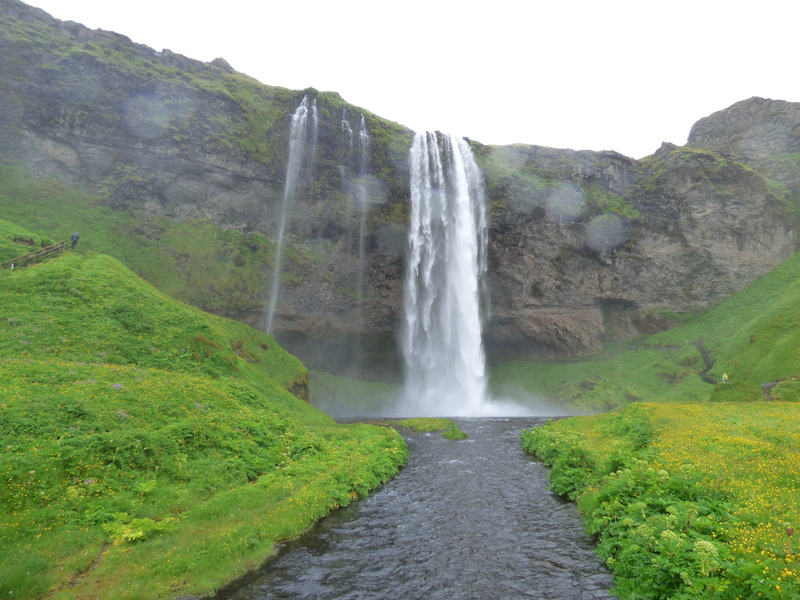 If you want to do Gljufrabui first, then walk along the path to the left of Seljalandsfoss (as you are looking at the waterfall from the front). Either way, I highly recommend you go and check out Gljufrabui. It was actually one of our favorite parts of the trip! This waterfall is really unique because it is behind a rock “wall”. There is a small gap in the rock where you can see the waterfall peeking out. You can actually go through that gap and up the small stream and get really close to the waterfall. There are small step stones along the stream so depending on how high the water is, you can actually go through the gap without getting your feet soaking wet. My mom and I chose that option (both of us were wearing fairly waterproof hiking boots), but my dad and brother walked in the stream barefoot (brrr!!!). 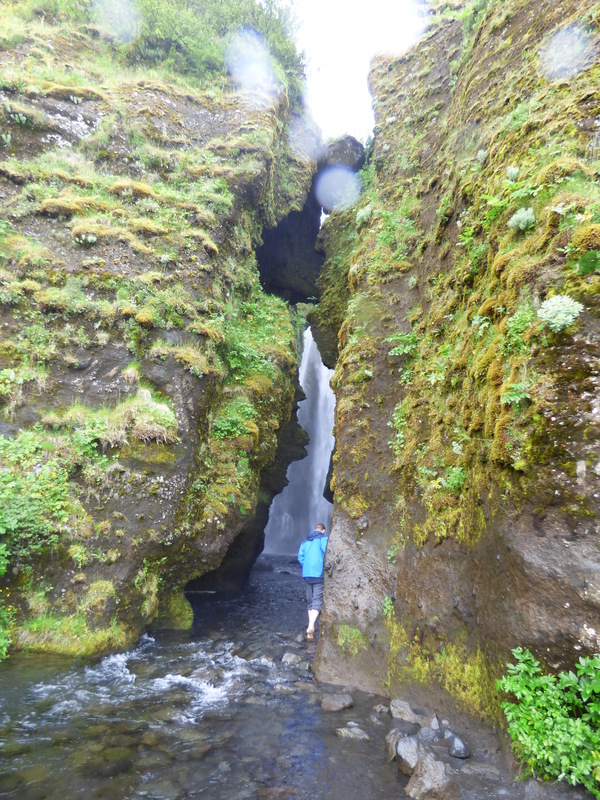 Once you get through the gap there is a small chasm through which the waterfall plunges down directly in front of you. It is so, so cool! 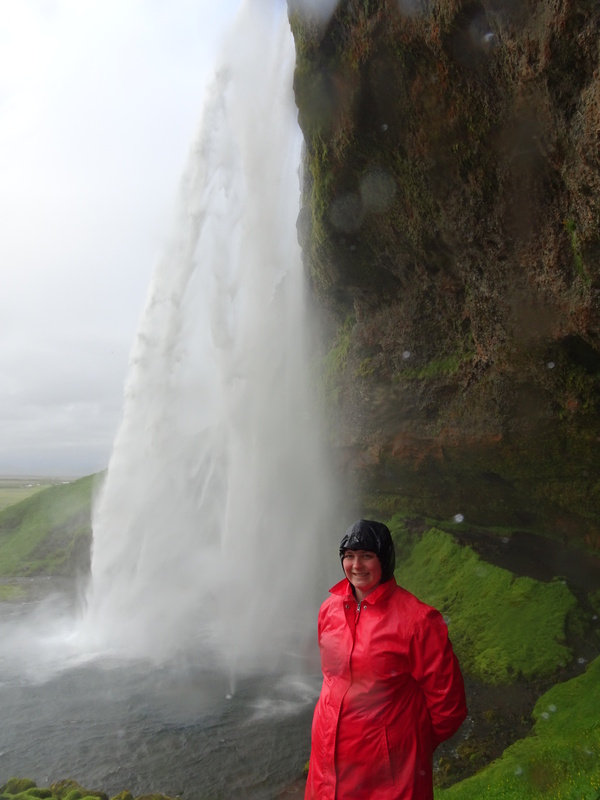 We actually got less wet here than we did walking around Seljalandsfoss. I originally abstained from entering the gap, but then a British family walked out and the mom exclaimed loudly, “That was SO AWESOME! !”, so I decided I had to do it, and had absolutely no regrets! 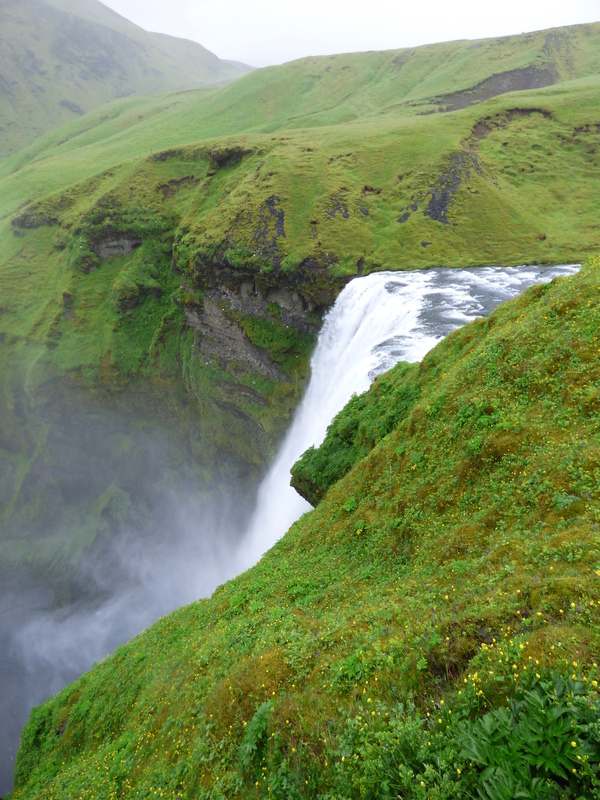 From Seljalandsfoss and Gljufrabui we drove a few minutes to Skogafoss, one of the other well-known waterfalls. 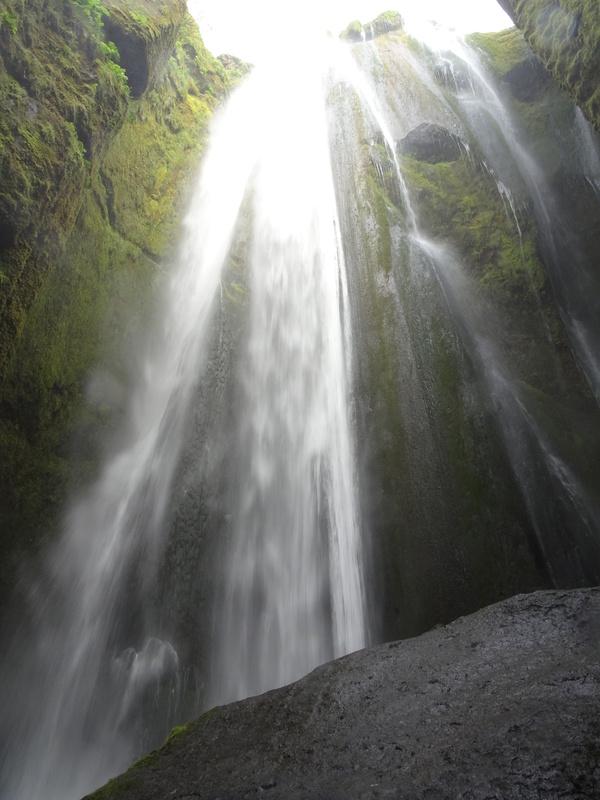 This waterfall is really pretty and you can walk up a set of steep stairs to the top to get a view from there as well. Though tired and a bit sore from our hike earlier in the day, my dad convinced me to walk up to the top which affords for gorgeous vies of both the waterfall and the valley below. We spent less time here as we were pretty cold and wet at this point, but it was definitely worth the visit. We tucked into bed as soon as we returned to our Airbnb after a long and fun day. Costs: We prepared food bought previously at a grocery store for all of our meals. 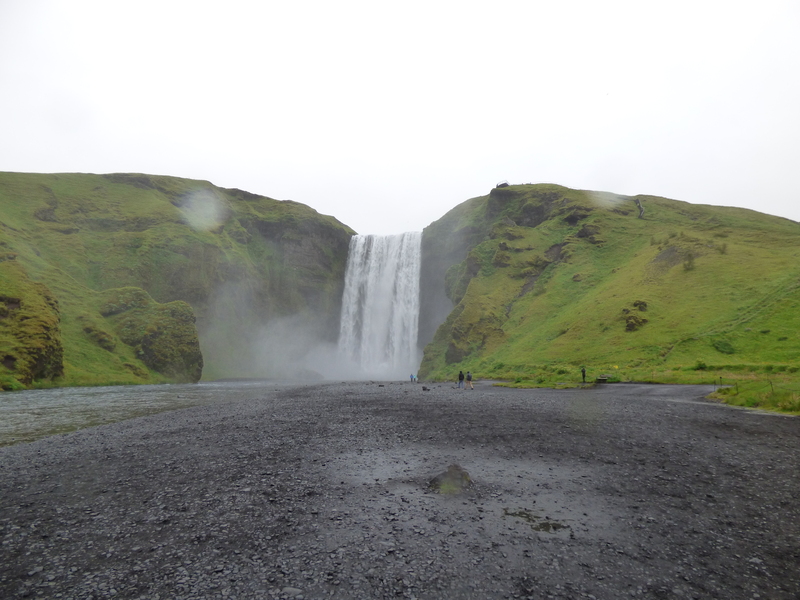 There is a fee of 700 ISK (about $7 USD) to park at Seljalandsfoss. As with Thingvellir, this is payable only by credit or debit card. 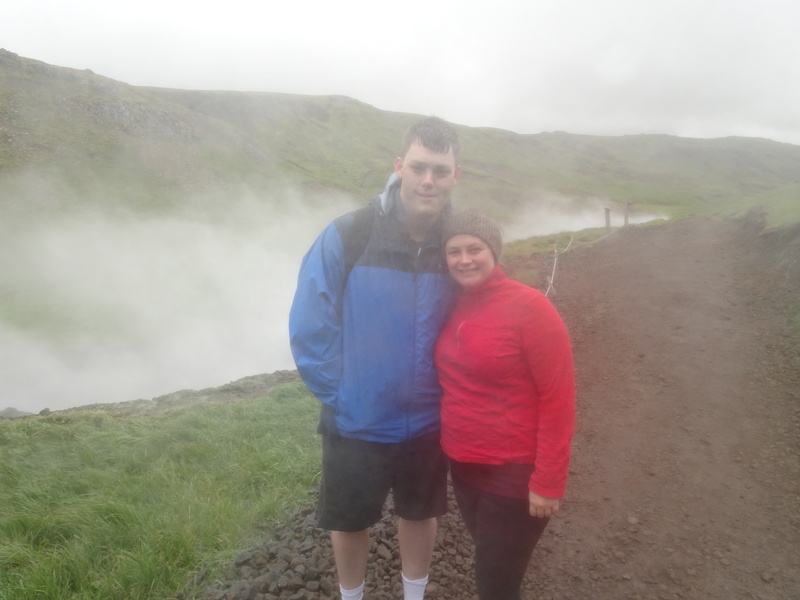 If you do the Reykjadalur hike, dress appropriately! When we went, it was a cold and windy day with little to no sunshine. We were very glad to have hats/earwarmers while hiking as a result. Make sure to bring your bathing suit (we hiked in wearing them) and a towel to dry off and change behind. We found that the water was cooler farther downstream and warmer upstream, so try a few spots until you find one that’s the right temperature. Don’t forget to visit Gljufrabui if you go to Seljalandsfoss! It is such a cool waterfall, and if weather/conditions allow, go up the little stream and through the gap to see the waterfall up close. Book places to stay along the South Coast well in advance. We didn’t and as a result ended up with somewhat questionable places to stay. Make sure you have a full tank of gas and pick up any groceries before the South Coast- the gas stations and grocery stores are few and far between.